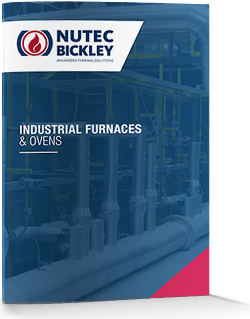 Iso tunnel furnaces in custom designs to match customer production and process requirements. Heat treatment (Austenitizing, quench & tempering) of steel round bars. Heat treatment (austenitizing, quench and tempering) of steel API tubes and casings. Use of top technology of flat flame recuperative burners. Use of recuperative burners performing fuel savings from 10% up to 50% vs cold air system. “Vee” rolls conveyor system to perform the required tube /round spinning in order to obtain the optimum heat treatment.